Cricket in The Hague? Join Quick! As an expat you want to do other things besides just living and working in The Hague. Shopping, having a drink somewhere, or a nice dinner out. Or sampling culture in one of the 1,001 possibilities offered by Hofstad. Not to mention sports! Cricket is the biggest summer sport worldwide. Expats from India, Pakistan, Australia and New Zealand have grown up with it. The game is also played in the Netherlands, although you sometimes have to search hard to find it. In The Hague, Quick is one of the largest and, in any case, the cosiest cricket club. Quick was founded in 1896 and has more than 1,400 members. Their venue is called Nieuw Hanenburg. In winter, high level soccer is played there (Third Division Sunday), and in summer, cricket is played at the highest level (Top Class). Recently, the ‘Haantjes’ (nickname of Quickers, after the club’s logo) won the Dutch championship twice in a row. Besides top cricket, there is ample attention for social or recreational cricket. From Thursday to Sunday it is good to stay in and around the beautiful new clubhouse. Together with HCC, Quick has the largest youth department in the Netherlands. In short: something for every cricket fan. Have you become curious after reading this article? Do you want more information, come over once, perhaps take part in a trial training? 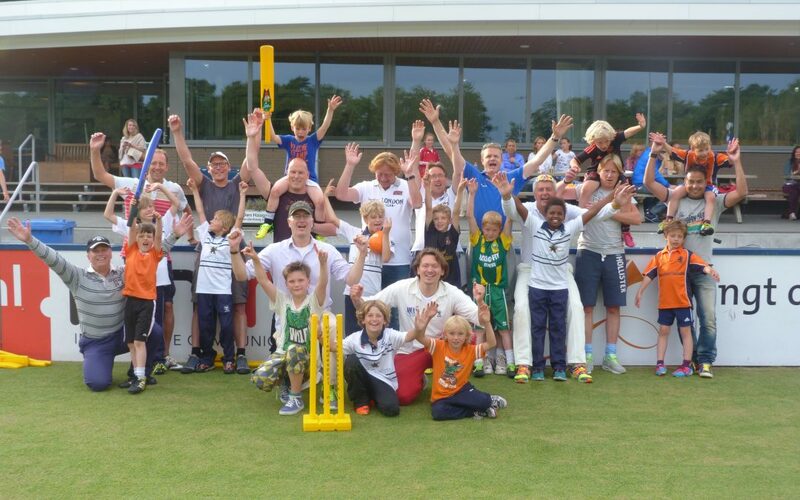 Take a look at quick.nl/cricket or send an email to cricket@quick.nl and maybe we will see each other next summer!